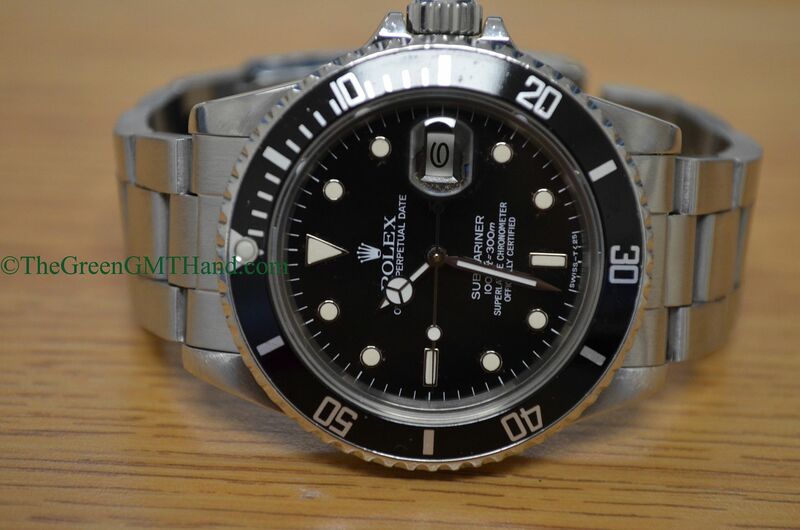 A late run vintage Rolex 16800 Submariner with gloss tritium dial and sapphire crystal. 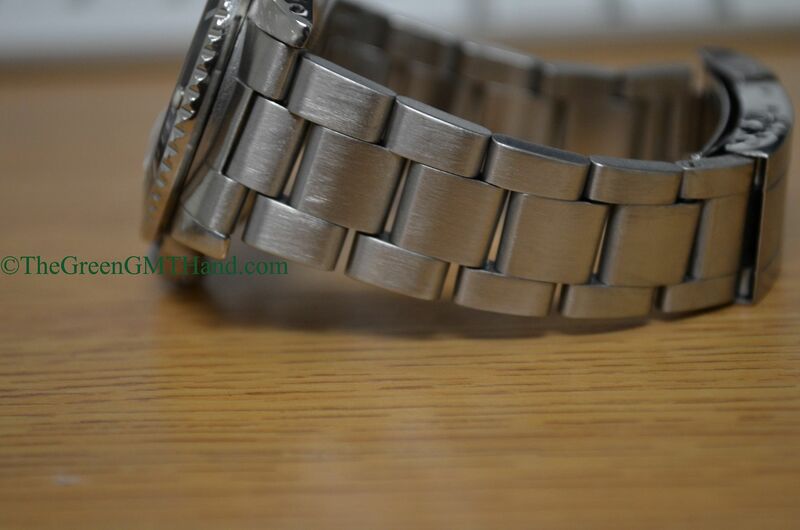 The original insert had some wear on it, but the buyer wanted it to kept original. 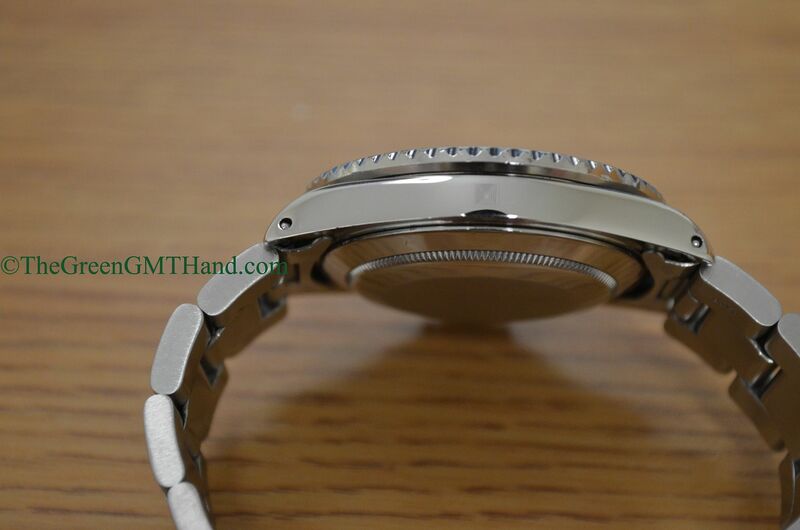 The insert is a correct flat four insert. 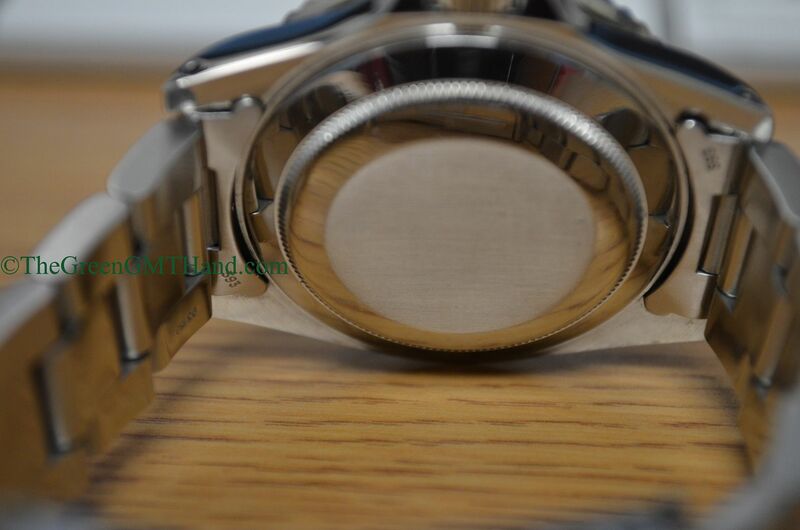 The date wheel is an open 6 and open 9 datewheel. 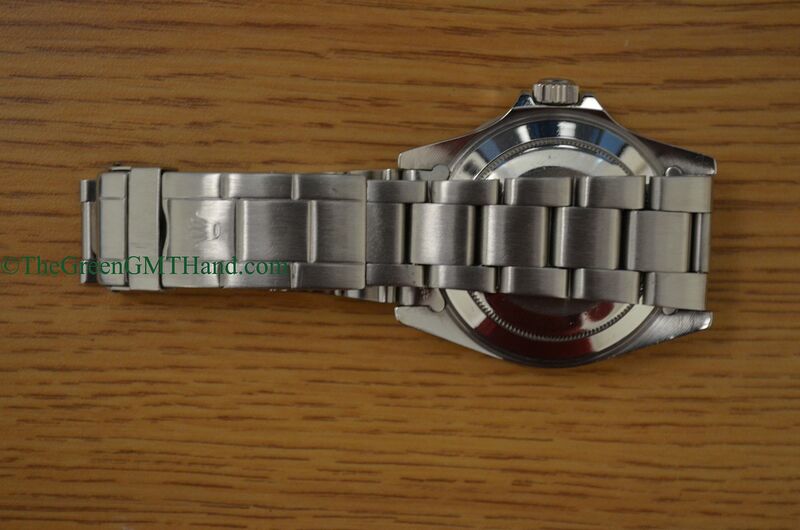 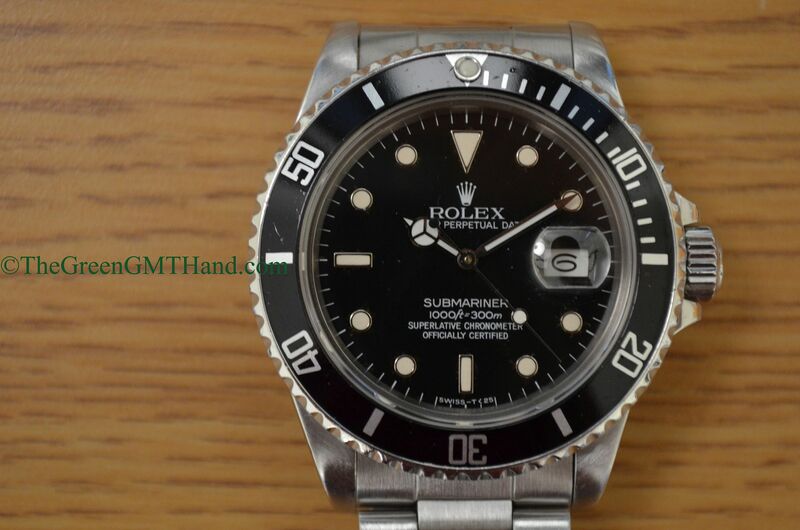 This 16800 was discontinued for the short lived Rolex 168000 “triple zero” Submariner, which would then be replaced for the next two decades by the Rolex 16610 Submariner. 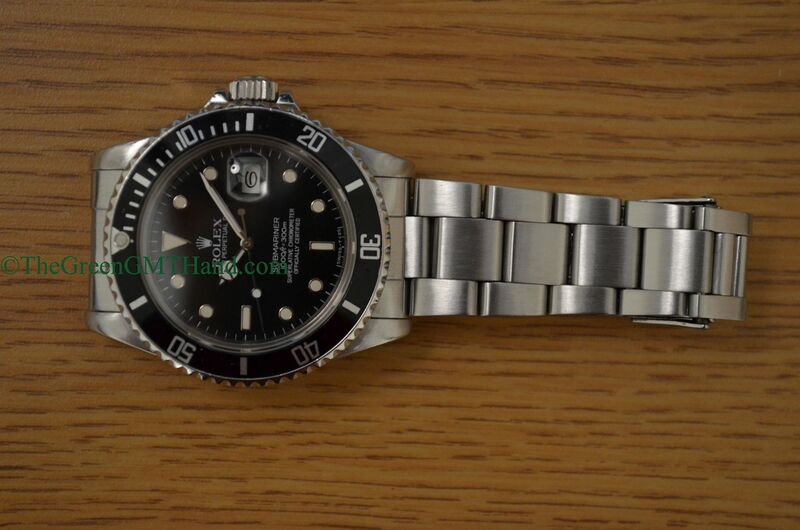 On its original bracelet, this gloss dial Rolex 16800 Submariner is a true vintage. 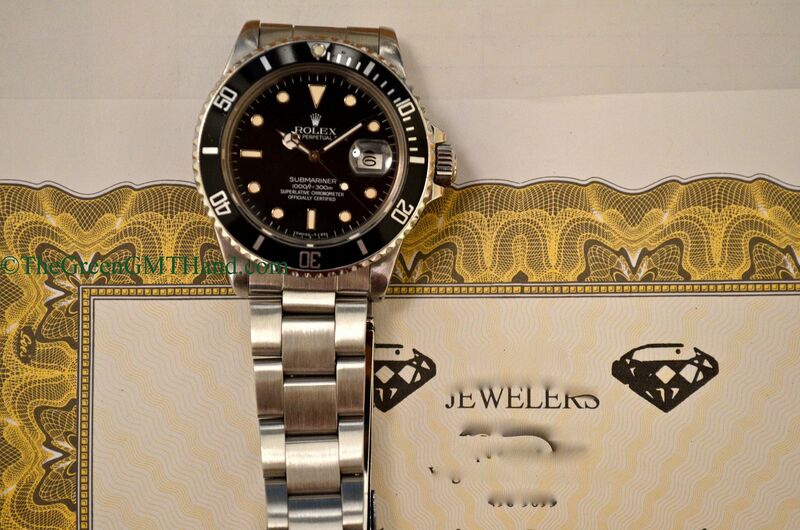 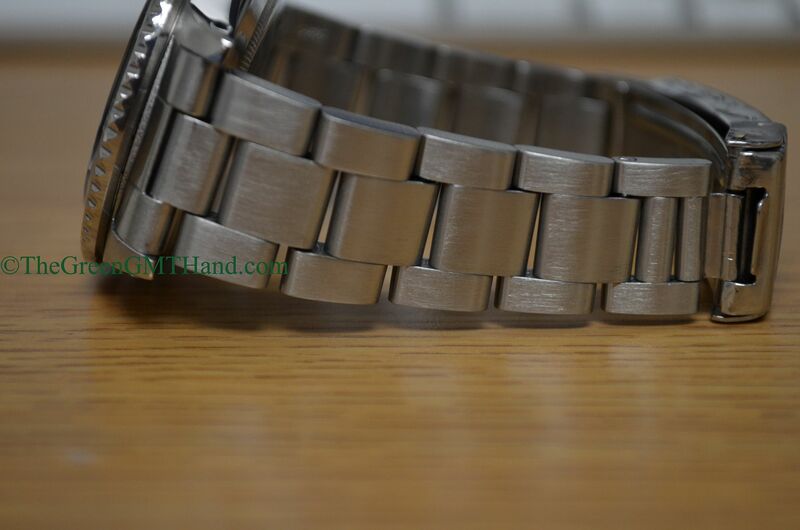 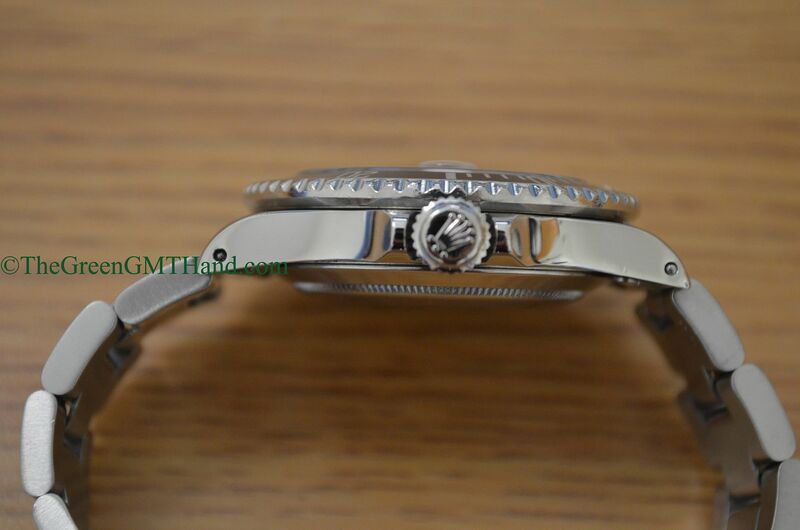 SOLD and delivered to our European buyer with jeweler’s warranty and authenticity guarantee.